Recipe was inspired by sudden cravings for certain ingredients (like all the ingredients I used :D)! 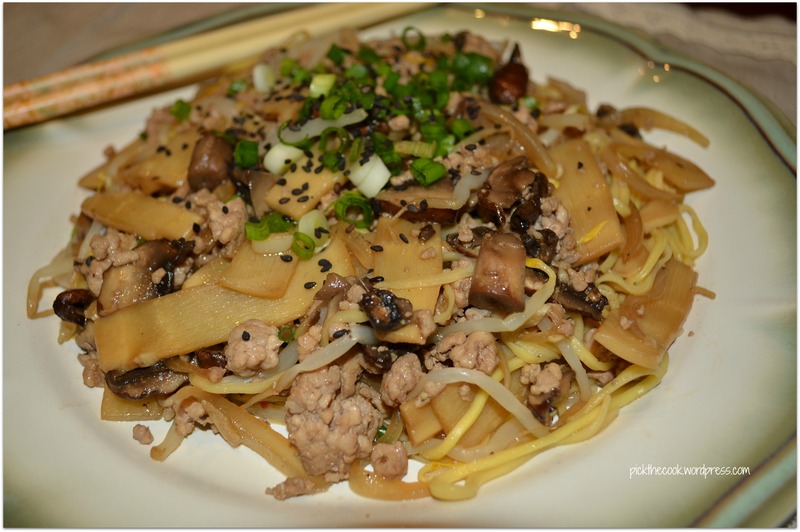 After making this dish I browsed the internet a little, looking for similar recipes and I think is close enough to cantonese noodles. The dish was really good, and I am not saying that only in my name. 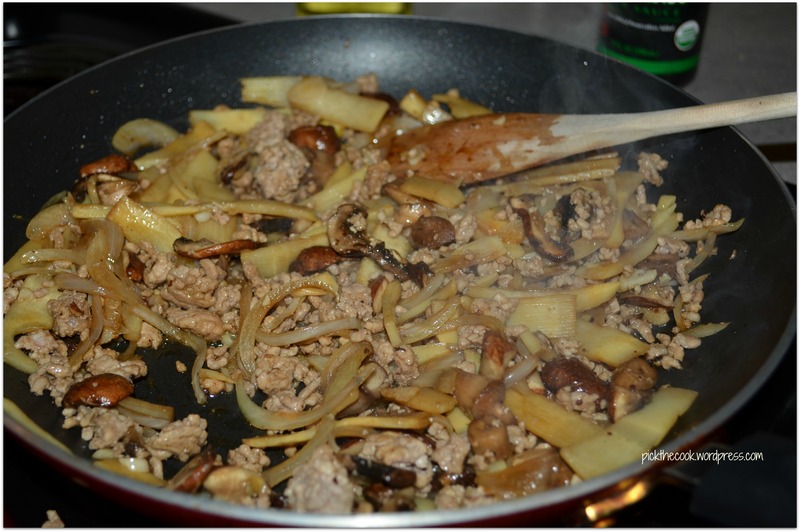 I started by cooking the meat and them I added the onion and the mushrooms. I let everything cook for 5 – 6 minutes (until onion is tender). 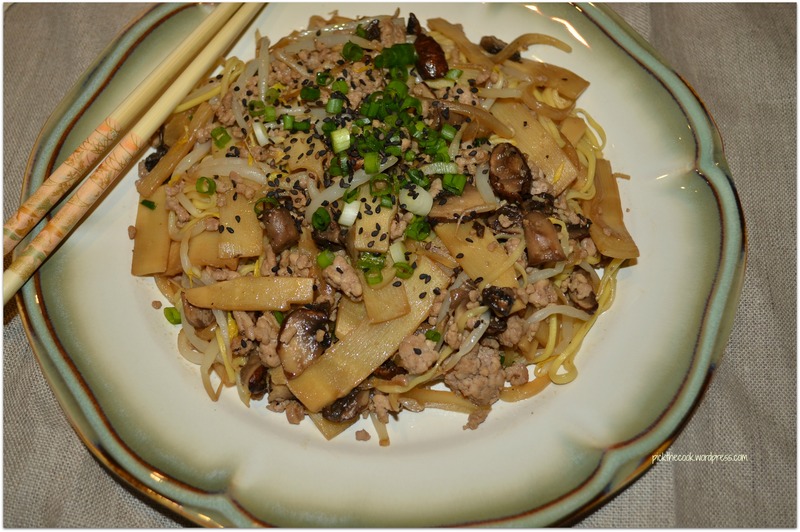 Then I add the bamboo shoots and the sesame oil. 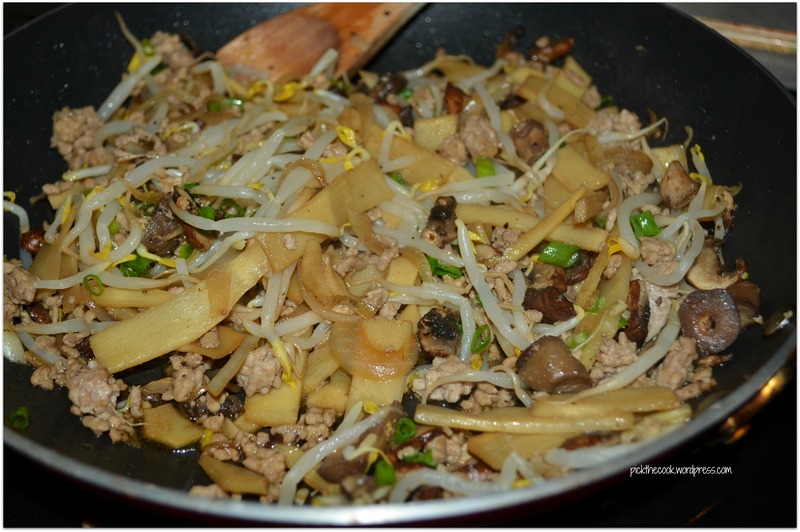 I cooked them for another 2 – 3 minutes and added the bean sprouts. I seasoned them to taste with soy, salt and cayenne pepper. Let them for 2 more minutes and added the boiled noodles. Serve with chopped green onion and black sesame seeds. How many different asian cuisines ingredients and styles of cooking did I just mixed?